The late J.J. Jackson was one of the five first-ever MTV video jocks. What many don't know is that Led Zeppelin credits him with successfully launching the super group's career. 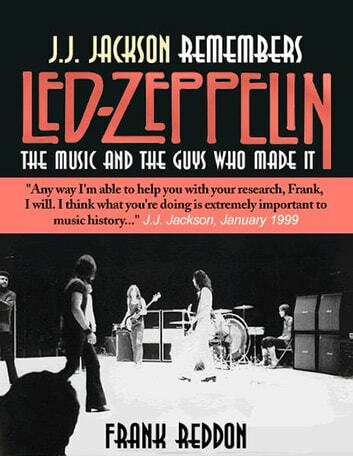 Frank Reddon, author of the acclaimed book, Sonic Boom: The Impact of Led Zeppelin, has compiled six interviews that he conducted with J.J during the course of his research. In an unprecedented move, Reddon made available to J.J. the live concert recordings of the legendary early gigs Jackson emceed for Zeppelin at The Boston Tea Party in January 1969. The two then discuss the music as only someone who was there at the time possibly could. Foreword by Led Zeppelin author and editor of Tight But Loose magazine, Dave Lewis. Introduction by Martha Quinn - one of the five pioneering MTV video jocks who worked with J.J.